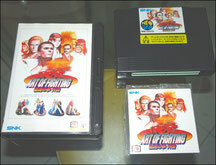 Two years have passed since Art of Fighting 2, and so many events in the small world of versus fighting ! 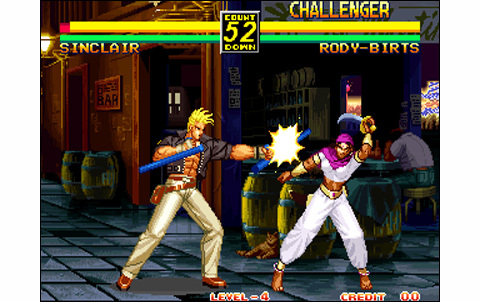 Between the arrival of the King of Fighters series (already three episodes were produced), three new installments of Samurai Spirits , the revival of the Street Fighter saga with the "Zero" games, but also the two first "Real Bout" of Fatal Fury ... The least we can say is this world have changed! 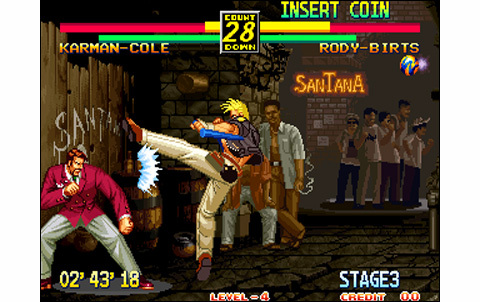 Standards are no more the sames, with rosters way more consistent than before, the eight characters from Street Fighter II now looking ridiculous facing games offering sixteen, twenty, or even twenty-nine fighters (KOF 96)! Animations, graphics and soundtracks have also reached other levels. The benchmark gameplays are now complex and technical, but also more fluid and dynamic. 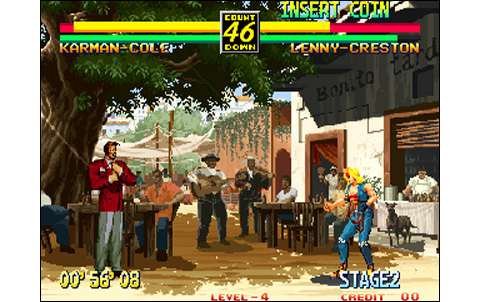 In a very short time, all the standards of the early nineties - including the first Art of Fighting games - became real antiquities. 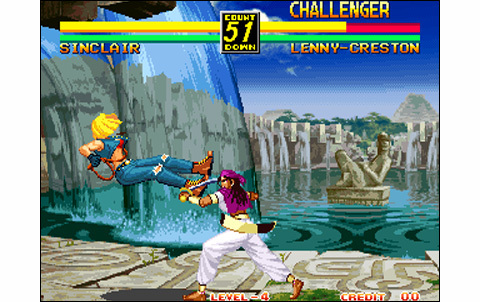 As it was done with many of its other sagas of fighting, SNK also makes a clean sweep of the past for this Art of Fighting 3 episode. New fighters, new design, new game mechanics: the programmers really started from scratch for this new episode. 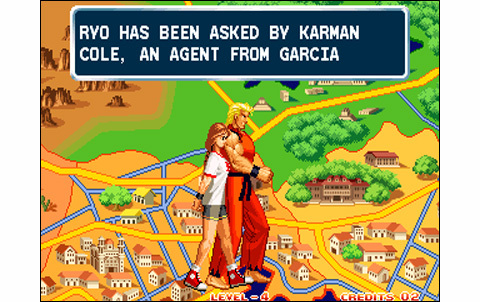 Only links with the past, Ryo and Robert are still the main characters of the plot. 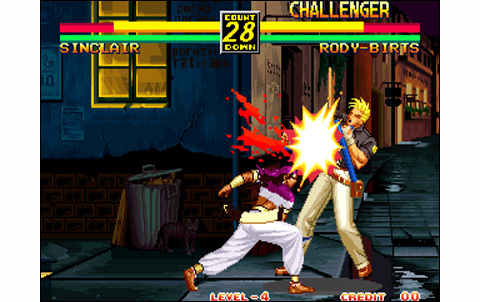 Besides, there are eight newcomers appearing in this episode: Rody Birts is a detective using a tonfa , Kasumi Todoh is no other than Ryahaku's ( first opponent Ryo and Robert in AOF ) daughter, Wang Koh San is the fatso service; Lenny Creston plays the blonde biatche slashing opponents with her whip, Karman Cole is senor Garcia's bodyguard, responsible for bringing back Robert in the right way. And finally there's Jin the tough ninja; Sinclair, a saber virtuoso, and Wyler, the one through whom all happened , the Boss that came to face all the others. The roster raises the number of ten characters : that's not too much! Here we touch the real weak point of the game, that is to say a relatively poor replay value, despite the new gameplay, the great amount of moves , specials and combos for each of the protagonists. But the action quickly shows its limits , because of this limited cast. 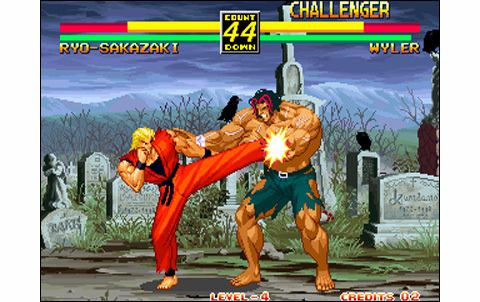 That being said, the new combat mechanics are far different from any other fighting game, including the past Art of Fighting ones. The duels use a more "realistic" shape (if we disregard fireballs). 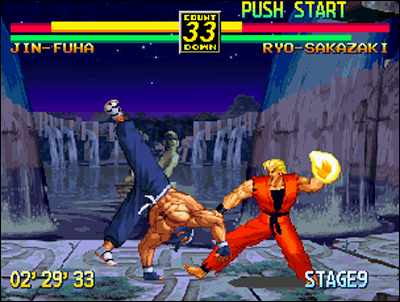 While maintaining combos and juggles, the action includes counters, the ability to hit a grounded opponent, more measured heights over jumps, but above all "physical" dynamics way closer to reality. 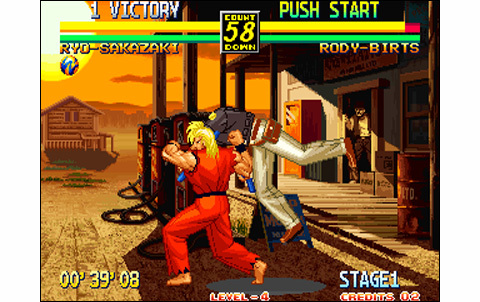 According to the blows power, the opponent moves back, stumbles, or falls. And to recover quickly, you now have to frenetically hit the buttons ! 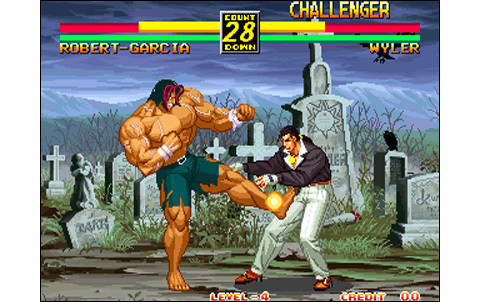 You can also perform various basic moves by combining A (punches) , B (kicks) , or C (powerful blow) with different directions on the stick. 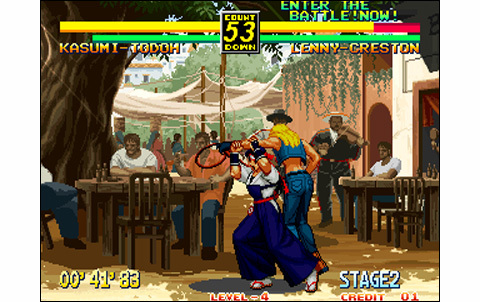 Thus, it's possible to place impressive combinations of blows! 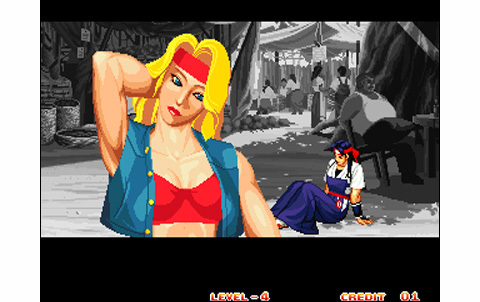 Nevertheless, the special moves are still many, still including Desperation and Super Desperation Moves - when the health bar is low and our hero "flashes". 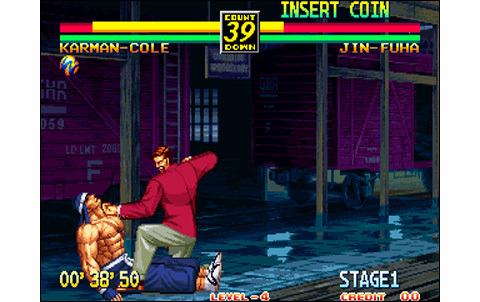 AOF purists can rest assured that the bar " spirit" to perform special moves is preserved, as well as the provocation which lowers it (D). A pleasant gameplay, pretty exciting to discover, but which we can blame a slight lack of dynamism due to the frequent knock-downs, and the time it takes for fighters to get up. 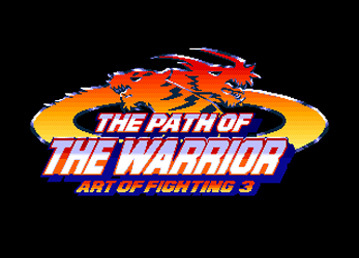 On the realization side, Art of Fighting 3 came close to perfection: the graphics are divinely beautiful, with colorful and rich backgrounds, available in day/night versions but each very different (not just a color change). We're granted excellent quality melodies, fitting perfectly to the action, as well as the gorgeous sound effects. 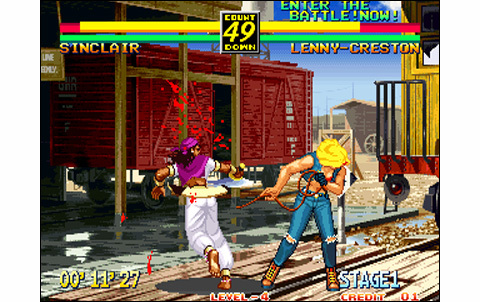 But above all, SNK provided an animation of the highest order. The fluidity and smoothness of moves are exemplary, with a speed and inertia perfectly set. Zooms are powerful and better managed than before, but also more progressive. 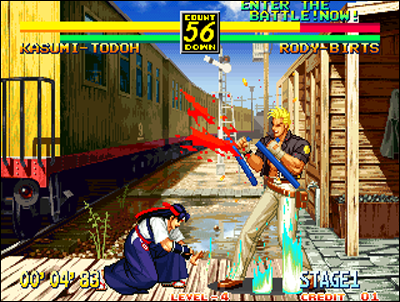 Of course, the size of the sprites is still huge: hey, this is Art of Fighting remember! We can blame the game's lack of backgrounds and musics, but this is related to the small amount of characters. 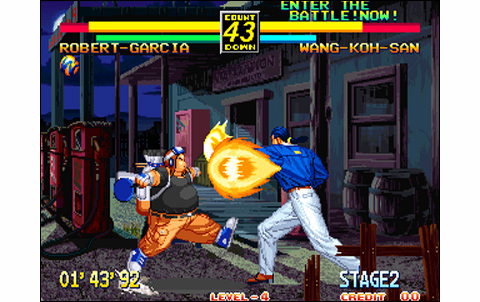 With Art of Fighting 3, SNK renews his saga a bit like Capcom with Street Fighter Zero: everything in it looks and sounds good, but the game still offers a too limited roster and confusing new game mechanics. Backgrounds and characters of AOF3 are gorgeous, but they have one flaw: they're too few! 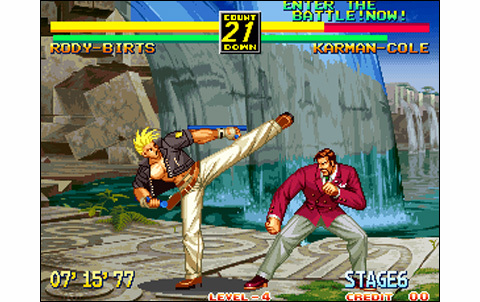 Animation is the highlight of the game: sprites are enormous, while smoothness and decomposition are among the best ever seen. 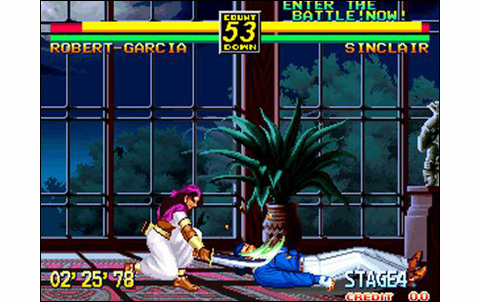 Besides, rhythm of the fights sometimes leaves to be desired. The quality is remarkable, melodies are catchy, effects and voices excellent. AOF3 starts back from zero with only ten characters. 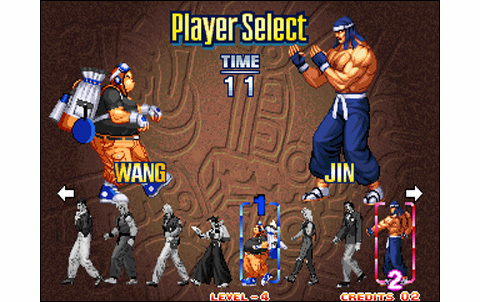 It's few, especially compared to the other fighting games of 1996. Anyway the discovery is taking, the story mode well made with different stories and endings for each characters... But the VS quickly shows its limits. Disturbing at first, AOF 3 gameplay finally shows interesting; but the knock-downs are breaking too much the rhythm. AOF3 dares a new gameplay, a renewed roster, all this with a sublime realization. But the soft is too restrained with only ten characters. Way too expensive for what it has to offer (200+ euros for the AES japanese version), Art of Fighting 3 is still a real UFO in the world of VS Fighting. 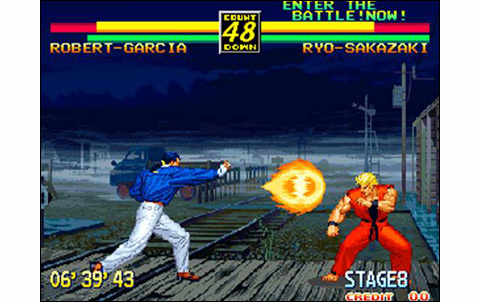 It deserves to be tried for the aficionados of fighting games who're looking for different mechanics.